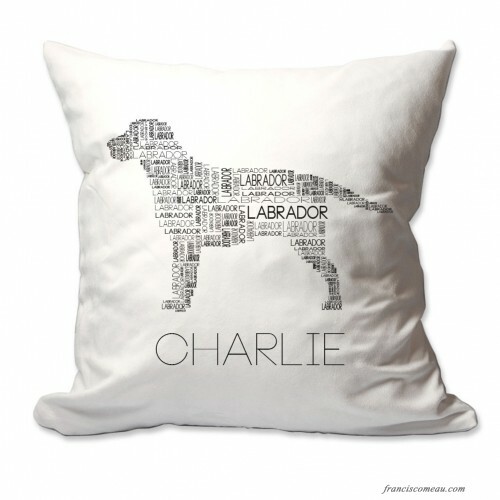 This charming personalized Labrador dog breed word silhouette throw pillow is a perfect addition to any decor to really warm up a space and make it feel like home. 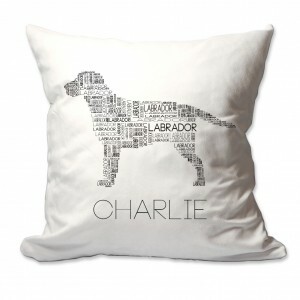 Featuring a silhouette of the dog created using the breed name in black writing with your custom text featured below. This throw pillow makes a great gift and is perfect for every Lab owner or enthusiast. The design is printed directly into the fabric, so you do not feel the design and it will not wear off, crack, or peel. The throw pillow is an off-white color, this pillow is both super soft and stylish! The throw pillow cover is machine washable and features a hidden zipper to remove the insert for easy cleaning. 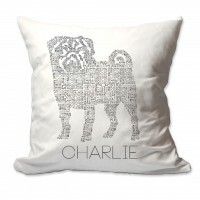 This charming personalized Pug dog breed word silhouette throw pillow is a perfect addition to any d.. 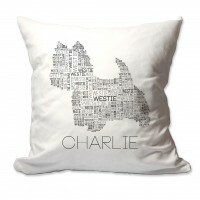 This charming personalized Westie dog breed word silhouette throw pillow is a perfect addition to an.. 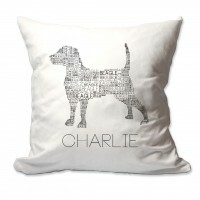 This charming personalized Beagle dog breed word silhouette throw pillow is a perfect addition to an.. 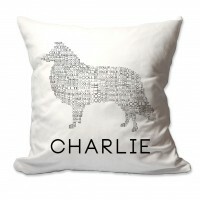 This charming personalized Collie dog breed word silhouette throw pillow is a perfect addition to an.. 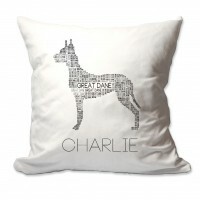 This charming personalized Great Dane dog breed word silhouette throw pillow is a perfect addition t..